“I love you roses” on show at the Callanwolde. Interior design by Mandy Culpepper. Callanwolde is The magnificent 27,000 sq. 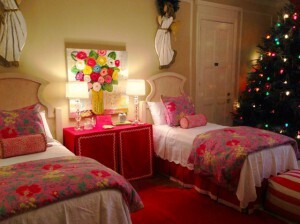 ft. Gothic-Tudor mansion is transformed by Atlanta’s top interior and floral designers during the holidays. Period furniture, designer treasures, fine art and dazzling Christmas trees reflect an English Classic Christmas reminiscent of when the prominent Candler family lived here. Visitors delight in seasonal shopping, special family activities, entertaining cabaret nights and holiday music played on the Aeolian pipe organ. Visit the Callanwolde!